What do the most successful restaurants have in common? Whether serving up traditional fayre or experimental eats, the restaurants at the top of their game are all doing the same things to make their business successful. Here are 12 business strengths that you’ll need in order to make your restaurant succeed. Front of house staff are the face of your restaurant brand. They’re the first impression your diners will have when they are welcomed to your restaurant, and can prompt word of mouth recommendations and repeat custom. Successful restauranteurs recognise the value of experienced front of house staff and ensure that they are trained and treated well. What makes your restaurant stand out from the crowd? Successful restaurants all have a differentiated offering – a USP that is carefully targeted to their intended customer base. If you’re too similar to other outlets, what will make customers come back to you? Having established your USP, you’ll need strong marketing support to promote your unique offering and help fill your tables. From your restaurant sign and window display to posters, emails, promotions and more, marketing is an essential facet of your business that must not be ignored. Importantly the latest tech trends can allow you to capture customer information and build up clear customer profiles. Integrated loyalty/order ahead apps, online booking platforms and guest wi-fi data capture, all allow you to identify your customer base and market more successfully to them. If you don’t have the experience in-house, employ an agency to help you get the word out there and shout about how great you are. Geographical location is everything in the restaurant trade, and you’ll need to choose this with care if your restaurant is to be a success. You’ll need a site with enough footfall to attract passing custom, but without sky high rents or overwhelming competition. Who’s buying your meals, and how can you cater to them? Whether it’s the last word in fine dining or a fast food drive through, a successful restaurant understands its customer profiles and ensures that pricing, décor and menu choices are tailored to their wants and needs. Depending on your audience, extras like balloons and crayons for kids or luxurious moisturiser in the powder rooms will help make your restaurant a place they want to return to. A successfully run restaurant doesn’t run out of popular drinks or essential ingredients, and nor does it create waste and lose money by over-ordering perishable items. That’s because canny restauranteurs use information from their POS systems to monitor stock levels against the demand for their products. The reality is that most successful restaurants having a tight control of GP (gross profit) margins. A couple of % difference can be the difference between success and failure! It’s not the most glamorous side of running a restaurant, but having health and safety policies in place and enforced, together with a decent hygiene rating, is the mark of a successful establishment. Customers want to know they are eating somewhere clean and safe. To be a success in 2016, restaurants need a solid online presence. At a minimum, this should include a basic website and active accounts on social media sites like Facebook and Twitter. Post pictures of your most delicious dishes and get customers to spread the word online by offering incentives. Let them check out your menu ahead of time and book online. Most importantly, encourage happy customers to leave reviews on sites like Tripadvisor – all the marketing in the world can’t replace genuine, word of mouth recommendations online. There are so many ways that you can use technological innovations to enhance your customers’ experience and encourage repeat visits. 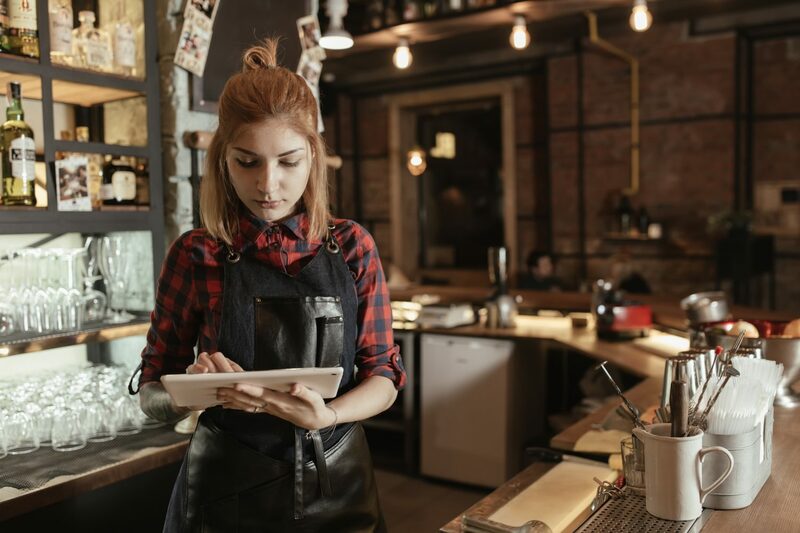 The most successful restaurants offer customer wifi as a matter of course, speed up waiting times with contactless and cashless payment options and utilise the latest POS technology for efficient service. Even the best restaurants can’t get it right all of the time. But the most successful establishments will acknowledge when they’ve got it wrong, admit this graciously and offer a solution to appease their dissatisfied customers. Successful restaurants get the balance right between a welcoming atmosphere that encourages diners to linger – and a brisk approach to service that will clear tables quickly. To maximise your profit you need to accommodate as many diners as you can each day while keeping them happy, so design your seating accordingly for maximum efficiency. So your restaurant’s doing well? Don’t rest on your laurels. Successful restauranteurs are up-to-date with the latest trends in the food industry, ultra aware of competitor activity and always on the lookout for new ways to wow their customers.